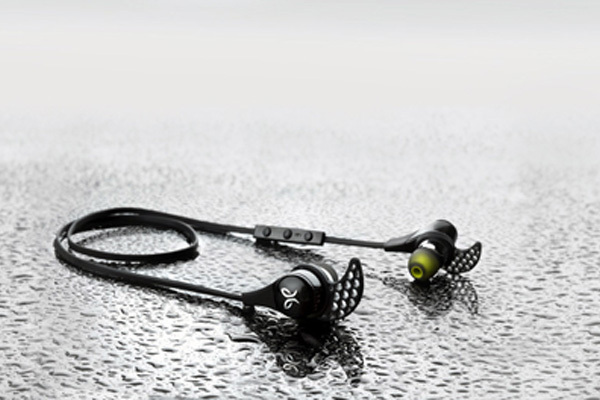 Sport enthusiasts won’t be able to wear out their Jaybird X3s. Designed for athletes, these ear buds are feather-light and resistant to sweat, dust and mud. Get pumped up to your favourite tunes no matter where your sport takes you. X3 4.0 Bluetooth buds are Jaybird’s new X2. Even smaller than their popular predecessor, they promise the same high-quality sound appreciated by music lovers everywhere. The Jaybird MySound smartphone app lets you tweak the EQ settings and get the bass just right. X3s are designed to fit comfortably in the ear and stay put, even during complex moves. The new rechargeable lithium-ion battery offers eight hours of autonomy. Short on time? A 15-minute quick charge will give you one hour of play time. Practical charging cable included. X3s are available in black or white and retail for $159.